With Logile’s Performance Management and Reporting module it’s easy to identify underperformance and non-compliance patterns and react with corrective actions. It efficiently analyzes sales and labor performance, scheduling accuracy, task management execution and regulatory compliance, and validates the labor model integrity, through a single reporting engine. With data integration from multiple sources, this capability extends far beyond labor management opportunities to supporting the entire range of Store Operations opportunity identification and optimization. Integration with Category Management and Master UPC Data Records allows for a wide variety of dashboard and formatted reports to identify store performance with comparisons to chain performance, budget, last year, or another selected store or store cluster. Logile’s Performance Management and Reporting solution provides us with the ability to perform real-time drill down and roll up of key performance metrics across the enterprise, as well as time dimensions. Allows managers to view updated data, presented for drill down and rollup based on role, whenever they need it. 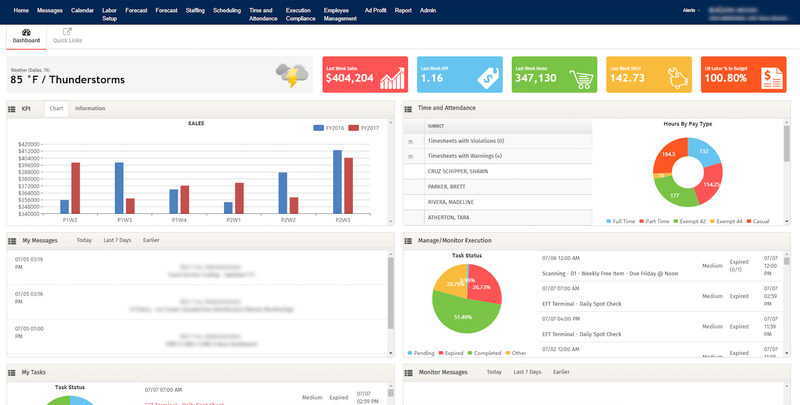 Simplifies the creation of report templates and ad hoc reports without IT or vendor help. Provides extensive scoring and report filtering, displaying the criteria you want, so you can see the true exceptions, such as where labor falls outside of defined acceptable variance from budget. Allows you to export and save reports as spreadsheets, CSV files, text or PDFs. It delivers both static reports in batch mode and dynamic reports in real time – through the system friendly user interface, web links, PDFs or even as tasks through our Task Execution and Communication Management system. Allows you to view the most important and actionable information including KPI, Scheduling, and Time & Attendance all in one place. 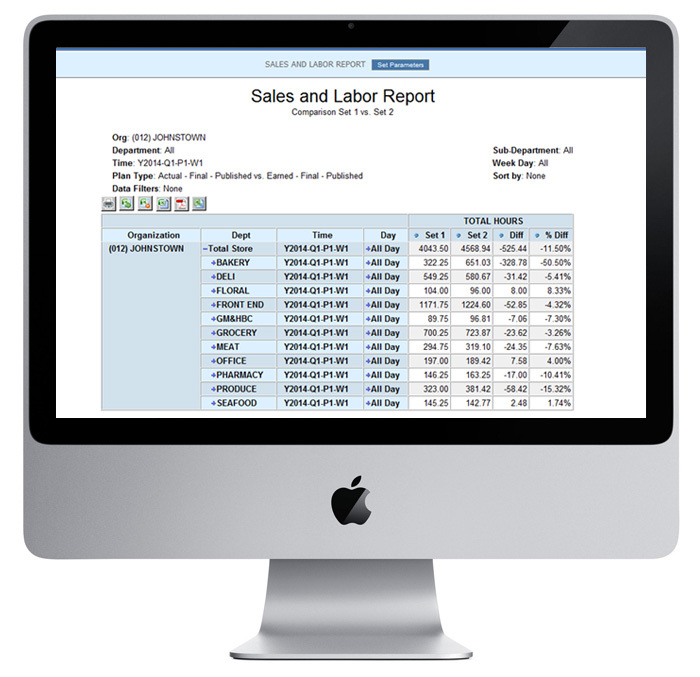 Users can delve into our data warehouse to run reports or create report templates.